My sister, Auntie Kerri, and her big hunka-hunka burning love, Uncle Darryl, are down visiting the big smoke to see Carol King and the Bee Gee in concert. 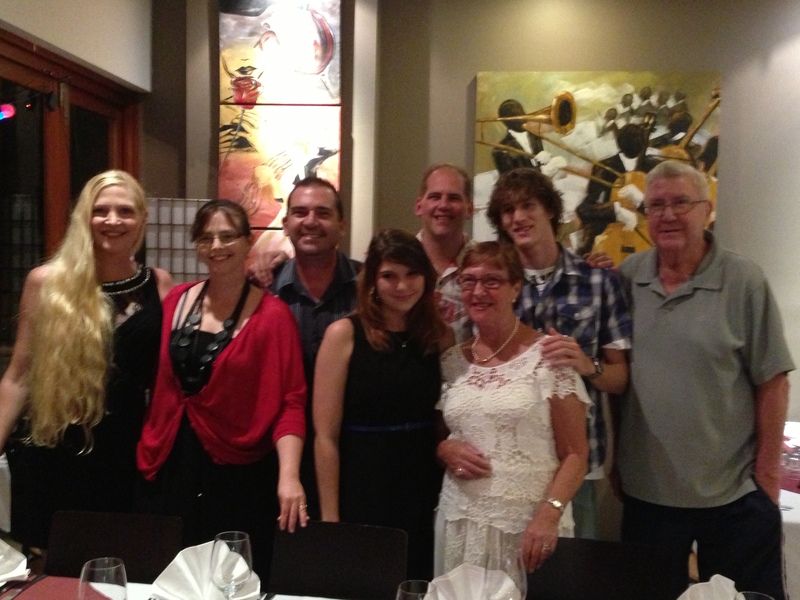 They stopped on their way through to catch up with the family and we all went out to dinner at a local restaurant. Things were going well – they were picking up the tab and buying plonk by the bottle – when Tracey decided to drop a bombshell. “I have an announcement to make,” Tracey told the table. I nearly choked on my beer chaser. And I wasn’t alone. The rest of the table went from raucous banter to looks of shock and dread. “You bloody well better not have,” I called down the table. Tracey told me later she thought my mother was going to have a coronary. She was also pretty impressed she managed to get a table full of Devereaux’s to stop talking. “I’m not pregnant,” Tracey spluttered. I was relieved. True, I was sitting there thinking it was odd she wouldn’t have told me first, but then, given my two vasectomies, if she does fall pregnant she’s probably going to want to have some protection there for the big reveal. Tracey seemed as horrified as the rest of us at the idea of any more babies. I mean we still haven’t caught up on sleep from the first one. “I was just going to say I’ve managed to go out of the house without any nappies or wipes in my handbag,” Tracey said. We all drank to that. I guess it is worthy of an announcement after nine years. Some of us may have drunk a little heavier than others. I may have been one of them 🙂 Cheers! I dead set thought you had another one one the way, I don’t blame you for choking on the beer!